The way the slate of NFL games played out on Thanksgiving could not have been more appropriate to the day. The best football was played earlier in the day when fans were still excited, focused, and interested in what was happening. But as the day went on and fans became a little sleepy thanks to Thanksgiving dinner, the quality of the games got worse. Minnesota-Detroit was an okay game. If you didn’t watch the Cowboys-Chargers game, you didn’t miss anything. Unless you are a Chargers fan; in that case, it was awesome. As for the Giants-Redskins game—well, the real New York Giants stood up. So, yeah, it was ugly. With how Case Keenum has been playing, Vikings may start saying “Who?” whenever someone asks about Teddy Bridgewater. Keenum had another stellar day for the Vikings completing 21 of 30 passes for 282 yards and a pair of touchdowns. He also chipped in another 20 yards and a touchdown on the ground. “Case is amazing because he does so many small things to pick up first downs and keep drives alive,” Vikings tight end Kyle Rudolph said after the game (ESPN). The Vikings sprinted out to an early 13-0 lead with the help of a Matthew Stafford fumble. A 22-yard pass from Keenum to Rudolph late in the first half gave the Vikings a 20-3 lead. But with just 37 seconds to work with, Stafford was able to get the Lions into the end zone halftime and trim the deficit to ten points, 20-10. 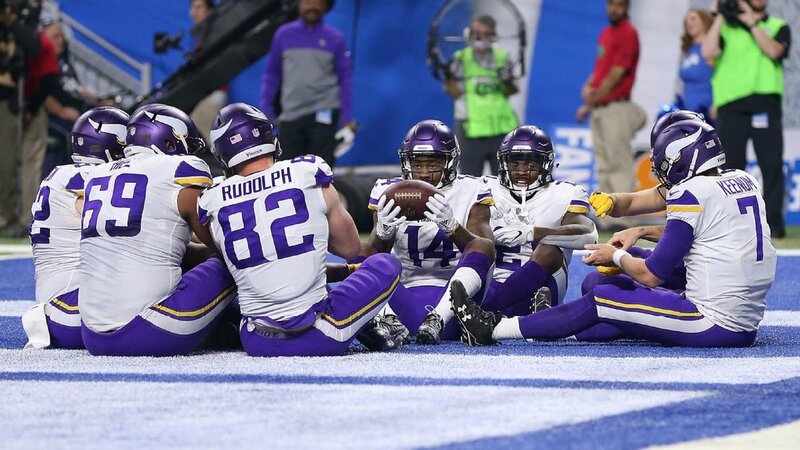 When the Vikings were able to extend the lead back out to 17-points on their first drive of the second half, the game appeared done. But the Vikings offense got a little bogged down and less effective. This game Stafford the chance to heat up—and he did. Stafford got the Lions within four points, 27-23, early in the fourth quarter after completing a 43-yard touchdown pass to Marvin Jones. A Kai Forbath field goal extended the lead out to seven, 30-23, with 3:42 to play. An interception by Xavier Rhodes off Stafford iced the game. Minnesota will have another tough one up next when they travel to Atlanta to play the Falcons. Detroit will travel to Baltimore to play the Ravens. Dallas Cowboys fans hoped for the best when they heard that offensive tackle Tyron Smith was returning to action on Thanksgiving against the Chargers. Maybe Dak Prescott can get on track if his protection is a little better. As it turns out, it was, and Prescott was only sacked twice this time. But the Cowboys became ultra-conservative with their play-calling and struggled to get a running game established. So, once again, the offense was sluggish and ineffective for the bulk of the game (247 total yards of offense). Phillip Rivers and the Chargers, on the other hand, could do no wrong. 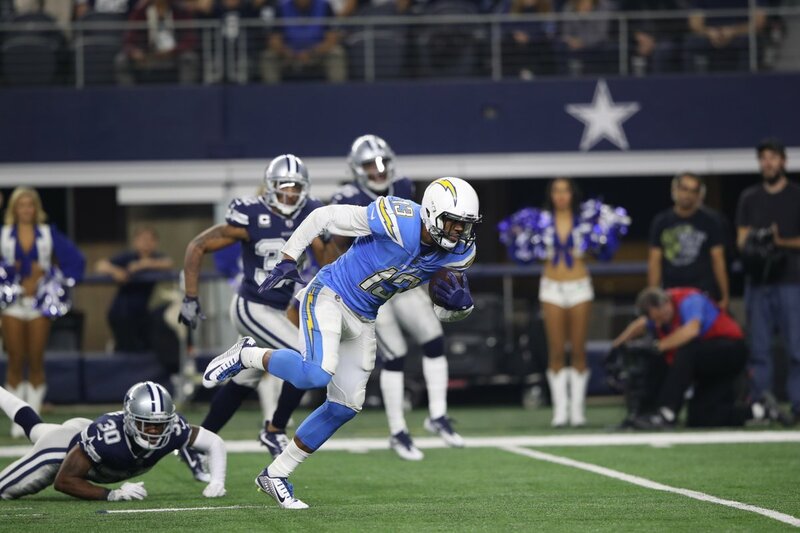 Rivers led the Chargers on drives of 70, 89, and 69 yards in the first half but only came away with three points. They missed a field goal on the first drive. They went for it on fourth down on the next drive since their kicker was hurt. But Novak returned to the game in time to kick a 22-yard field goal at the end of the third. Much like the last couple of games, the defense went from doing well enough in the first half to terrible in the second. The Chargers only had three drives, but recorded touchdowns on all three. Dallas still had a shot late in the game. Down by 16 with 9:58 to play, they could theoretically complete an epic comeback. But if—and only if – everything went right. It, of course, did not. Prescott guided the Cowboys to the Chargers 13-yard line with 7:41 left in the game. But then threw an interception which Desmond King returned 90-yards for a touchdown and the final points of the day. The Chargers should have no trouble improving to .500 next week when they face the Cleveland Browns. The Cowboys will look to do the same when they face the Washington Redskins on Thursday Night Football. Giants fans know their season is lost. But with how the team has looked in recent weeks, fans had reason to hope their team might win a few more towards the end of the season. Maybe their team wasn’t that bad after all. But then they played the Redskins on Thanksgiving to finish off a three-game slate of action, and reality set in. To be fair, neither offense had a good day, but the Redskins woke up enough in the second half to win the day. The Giants defense harassed Kirk Cousins throughout the game and sacked him six times. But he was still able to complete 19 of 31 passes for 242 yards and two touchdowns. His one interception resulted in the lone touchdown for the Giants, a 53-yard pick-6 by Janoris Jenkins. A good day by the Giants defense was wasted by the abysmal play of the offense. Eli Manning completed just 13 of 27 passes for 113 yards and had one interception. The Giants run game had been decent in recent weeks with Orleans Darkwa leading the way. But for some reason, the Giants split the carries between him and Wayne Gallman. The two combined for 67 yards on 20 carries. Washington, on the other hand, may have found their latest running back of the future in Samaje Perine. The rookie carried the ball 24 times for 100 yards. 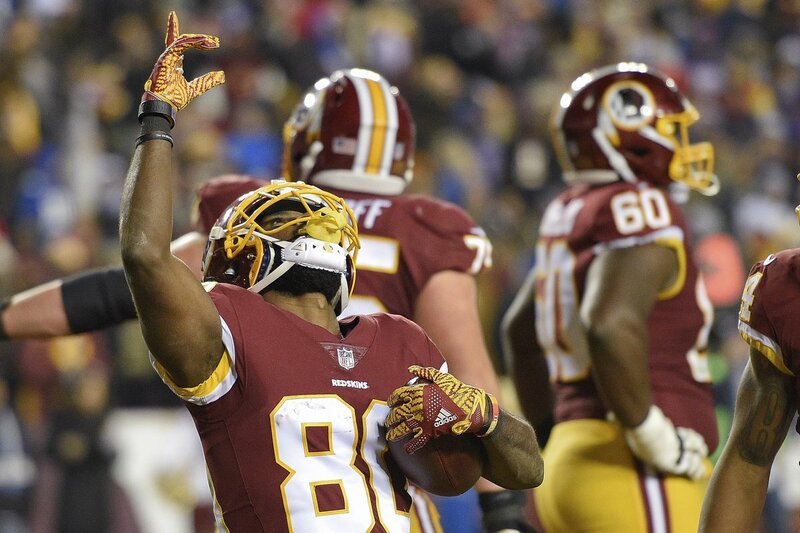 The Redskins will try to improve to .500 when they face the reeling Dallas Cowboys on Thursday Night Football. The Giants will travel to Oakland to face the Raiders.